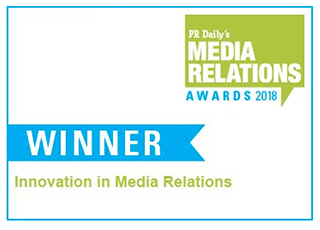 After Ten22 was awarded PR Daily’s “Innovation in Media Relations” award, Beth Friedman, Ten22’s CEO, offered her insight on how Ten22 arrived at their media tour strategy, and how they continue to be an innovative force in the world of healthcare PR. Congratulations on your recent award! What led to the development of Ten22’s biannual media tours? I think the idea spurred from my background in sales. That time taught me the importance of building personal relationships and respecting human nature. I believe it’s just as crucial to understand that importance in the world of PR—after all, healthcare IT editors are people too. Frequent visits with our editing partners are important because of how dynamic the healthcare industry is. New technological innovations and regulations come up so often that visiting any less would leave us lost. Our biannual approach allows us to touch base with our editors just enough to keep up with changes without becoming a nuisance. How does this process benefit your clients? Any feedback you want to share? It takes companies a while to build relationships with healthcare IT editors, especially on their own. Ten22’s biannual tours have helped us build strong relationships with industry editors and make it possible for our clients to connect with those editors through Ten22. Because we’ve established that trust and credibility, our clients have a better chance of their ideas being accepted by editors via communication through Ten22. In a way, healthcare IT editors treat recommendations from Ten22 as if they were recommendations from an old friend. Without giving away all your secrets, can you share an example of how your media relations approach delivered specific results for a client? Our client MRO’s story is a great example. MRO’s prior PR agency struggled to get placements in the Journal of AHIMA (JAHIMA). Those placements were extremely important because of AHIMA’s level of engagement with MRO’s target audience. In their time working with the prior agency, MRO averaged only one placement a year in JAHIMA. Ten22 has established a strong relationship with JAHIMA over the years, and after meeting with them in July of this year, we were able to secure a 400 percent increase in placements for MRO over their former agency. This PR team is small relative to other agencies in our industry. How do you make it work? First and foremost, we work very hard! Our primary focus as a company is on deliverables, and we follow the mantra GQSD—“Get Quality Stuff Done.” More than anything, we truly get a kick when we see our clients published. While we don’t have that many employees, we are able to take on a significant number of clients because our clients themselves are often smaller businesses. Because we don’t work with mega-million-dollar corporations, our accounts with clients can typically be managed by single employees with support from our other team members. This past summer, a coding client of ours gave a sales presentation at one of Florida’s largest healthcare systems. One highlight of the presentation was a slide including all their industry articles published and speaking sessions secured by Agency Ten22. At that point, several of the executives in attendance stopped the speaker to offer their praise. We have a passion for seeing our customers succeed in this way, and it’s industry presence like this that makes a tremendous difference for healthcare IT buyers. Any advice for healthcare IT companies looking for industry exposure? For starters, call us! Set up a meeting with us or talk to our customers. Companies need to find a way to be introduced to editors of major healthcare IT channels. The best way to get your foot in the door is to use a PR firm that these editors trust, like Ten22, to jumpstart the development of this relationship. Additionally, HIT companies need to hire the right people internally. The “right people” are credentialed healthcare professionals with experience within the company’s niche in the market. Look for recent healthcare provider experience and solid healthcare credentials. Finally, it’s important for companies to thoroughly target their audience. Start small, focus your efforts and give it TIME. PR is a marathon, not a sprint, so don’t give up too fast. To get a foot in the door with the trade publications your target audience is engaging with, schedule a free consultation with Ten22 today.